Dating coach Adam Lyons reveals the one thing you can say to make a girl melt and obsess over you. Word of warning, before you read this article – You may not want to get a girl to obsess over you.. It sounds like a great thing in principle but in practice it can be incredibly difficult. You’re not only messing with a girl’s emotions, you are making her trigger emotions that make her decide you are the person she wants to date.. If you DO NOT want to date this women, if you’re doing it for fun or just to experiment, DO NOT use this technique I’m about to share with you in this article. This is the type of thing that makes a girl fall completely in love with you. Only put this into practice if you plan on actually dating the girl you are using it on. Only to lose her completely and feel your entire body sink as you miss the opportunity to say the right thing? The one thing that will get her to melt? Chances are, you have.. As have I and the thousands of students I teach. 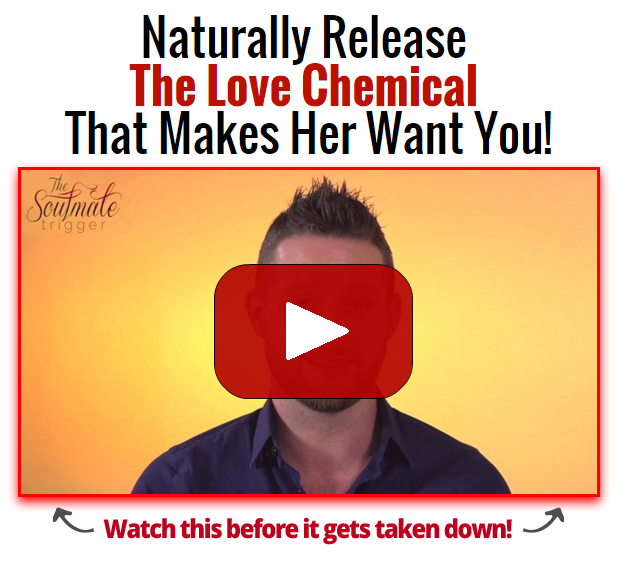 That’s why you need to read this article and watch this video I’ve created for you that will teach you how to trigger the chemicals in her brain to make her think of you as her “soulmate” and separate you from any other guy. I recommend that everyone substitutes the word “love” with “like.” Like is powerful because it can be used in the same way. “I like you.” However it doesn’t have the same connotation. In fact, it does something much worse in that it leaves the other person unsure about your true affections and feelings. They will obsess over this, think about this constantly, drive them wild trying to work out what your true affections are. While she’s too busy trying to work out what your true affections are, you are giving her all the satisfaction with none of the payback. The one thing that makes a girl obsess over a guy, is a guy that has his life together and already knows what he is doing. When girls grow up, they already have an idea of their perfect guy created to them by Disney movies. The perfect guy is strong, confident, achieving great things and doing all these awesome incredible activities in his own life. Now the beautiful thing about this is that each person is going to be completely individual. I like thinking of it like this. The average person who works at McDonald’s.. ISN’T Attractive. But if that person is working at McDonald’s to fund their way through culinary school and rival Gordon Ramsay.. suddenly that person becomes attractive. The girl gets obsessed with the journey the guy is on and thinks that if she gets in early, then she will be able to get all the rewards at the end. In contrast, if you’re a rich kid and you were handed money to you by your parents, that is actually unattractive and she won’t obsess over you and she will think you’re a spoiled kid. Now there is a right and a wrong way to describe your life to someone. One of those gets the girl to obsess about you like above and the other way leaves you wondering why girls never seem to like you back. These kinds of secrets I keep only for my students in our special group called IAI (Interpersonal Attraction Institute). If you’re truly serious about learning how to use these two methods you learned today in the proper way that really does MAKE her melt obsessing over you, you need to watch this video right now before it’s too late and you miss the girl of your dreams. It doesn’t matter if you’re standing in the middle of a rain storm or you’re at a dentist appointment. Stop whatever you are doing and watch this video right now.